If you’re an aviator, aviation enthusiast, or are connected in any way with the aerospace community, then this should be of interest to you. The Federal government is proposing a permanent ban on general aviation flying in the Washington, D.C. area. The crippling Air Defense Identification Zone (ADIZ) would cover approximately 3,000 square miles and set a precedent almost sure to be repeated in other Class B airspace around the country. 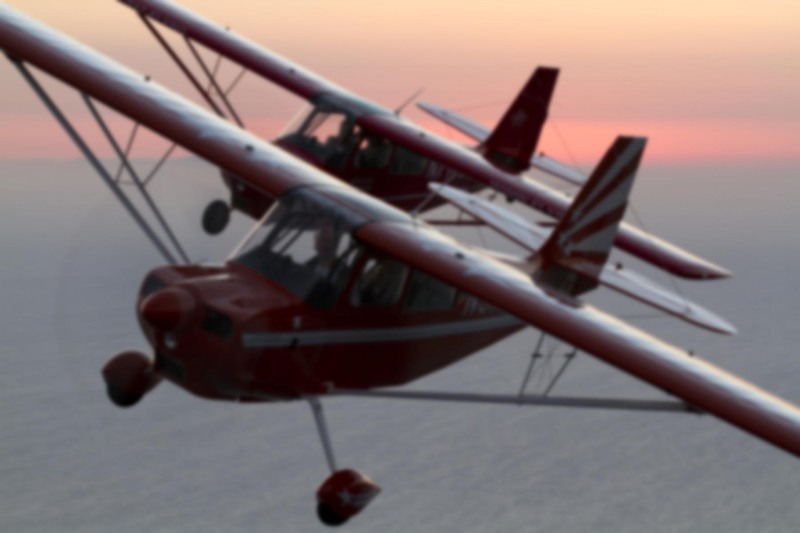 AOPA is encouraging pilots to comment on the proposal. As of right now, there have been more than 9,000 comments registered, and I couldn’t find a single one in support of the ADIZ. Indeed, I’ve never seen more than a couple hundred comments on any aviation docket. Even so, with 650,000 airmen certificate holders out there, the response has not been as strong as necessary. If you’d like to see general aviation continue to exist, be sure to submit your own thoughts to the Feds. You know, I just got back from the final aerobatic competition of the season here in California, and was reminded once again how precious our aviation system is. Two of the Sunrise team’s competitors came from 5,000 miles away just to fly with us. The reason? There is no such thing as aerobatics in Japan (or most of the rest of the world). It simply does not exist. General aviation is almost entirely an American enterprise. It’s one of the things that makes us special, and it’d be a shame to see it disappear, to say nothing of the billions of dollars in economic activity which would go with it (the GA world is about the same size as the petroleum industry). Anyway, the proposal is now at the NPRM stage. An NPRM is a Notice of Proposed Rulemaking. Basically the government is prohibited from enacting new laws without giving the public a chance to comment. Thanks to the wonders of the internet, you can do this online. The comment period closes in 16 days, after which the FAA will read the comments and decide how to act. I am a professional, commercial multi-engine instrument rated pilot with more than 1600 logged hours. I am rated to fly land planes, sea planes, gliders, and more. I fly nearly 500 hours per year, mainly VFR flights around the Los Angeles basin. In addition, I’m an aircraft owner, CFI/CFII/MEI, and active aerobatic competitor on the southwest regional circuit. To put it another way, my livlihood depends on general aviation VFR flying. It’s what I know, and what I love: teaching students to fly radial engine beasts, tailwheel aircraft, and precision aerobatics. I work for the largest aerobatic flight school in the world, one that has won more trophies and trained more pilots to a higher degree than any other. Without question, we are all under heavy pressure from escalating fuel prices, a tight insurance market, and growing regulatory burdens from the FAA. To be blunt, the stakes are enormous. The world’s only viable general aviation system is at risk. This ADIZ proposal could not have come at a worse time, to say nothing of the fact that it has no redeeming characteristics. Indeed, it provides a false sense of security that achieves an unwanted end by making the skies less safe. Law abiding pilots are saddled with needless restrictions, while those who would do us harm are going to ignore the rules by definition. The restrictions are needless because GA aircraft pose no threat. They are slow and light weight, meaning they carry very little kinetic energy. They carry little fuel and have limited payload and center of gravity envelopes. Less stealthy than a common car, far more difficult to operate, and infinitely more likely to be noticed as soon as the hangar door is broached. Security comes from a tight knit GA community, not from fences and flight restrictions. We watch over each others aircraft, we know the sounds, sights, and N-numbers of aircraft using our local airports. We can spot a fraud farther away than anyone in the government, because our airports are “home” to us. We know our neighbors, their habits, their aircraft, and are more likely to investigate anything suspicious. THAT is security. The Washington, D.C., ADIZ is unworkable. The burdens on controllers are far too high, the security benefits are a mirage, and it must NOT be made permanent. If the capital is to be protected, it should be done by limiting the airliners, not the GA aircraft. Airliners travel at nearly the speed of sound, carry huge fuel loads, and weigh hundreds of times more than a typical GA single engine airplane. If there is a terrorist threat from the skies, that is where it comes from. There is nothing a terrorist can do with a general aviation aircraft that they cannot do cheaper, faster, easier, and with less chance of detection by using a car or truck. Terrorists want to create massive carnage, not break a few windows. GA is of no use for that. No, the FAA must implement safer, more efficient and rational security procedures for the airspace in the Washington, D.C., area. Lighter aircraft, flying at slower speeds, should not be subject to the current ADIZ requirements for filing a flight plan, obtaining a unique transponder code and maintaining two-way communications with Air Traffic Control. The proposed rule is also flawed because the evaluation of the economic and operational impacts on pilots and aviation businesses and an analysis of alternatives are insufficient. No general aviation aircraft has ever been used in a terrorist attack. And the government has determined that not a single ADIZ violation was terrorist-related. In conclusion, this proposal has generated an unprecedented groundswell of criticism. No one armed with the facts supports it. If our government truly is of, by, and for the people, then hollow political “feel good” measures like this one must fall by the wayside. Thanks for the heads up. I wrote a comment. I think my brother and I will push the comments over 9,000. It should be noted that this doesn’t have to be some eloquent legal paper. These comments are best left in ones own wording. Anyone is allowed to comment. This is so important. Our rights have not been infringed upon this much even after Pearl Harbor. If we let the authorities take this right away, what is next? The private pilots license? You say, “NO WAY! !” Wanna bet! We must speak up! I’m totally in favor of the ADIZ. It’s already in, isn’t it? The lights are pretty cool, red-red-green. It’s a cool system. It is my opinion that we must be willing to sacrifice some rights so that safety may be insured. Japan do have aerobatics and general aviation. That’s why we have aerobatic teams. For the ADIZ, that IS flawed. But I’m not a U.S.Citizen nor a pilot, so…..